At Safe Money Strategies, everybody knows your name! We are a boutique style annuity marketing firm and work with only a select group of elite financial professionals who are focused on growing the "safe money" side of their practice. This allows us to give every one of our agents "red carpet" service. We offer direct access to the owners of Safe Money Strategies who have written over 100 million in indexed annuity volume over the last decade using proven annuity marketing systems. Learn from those who have walked the walk, not just talked the talk. We will show you how to boost your annuity volume by tapping into the incredibly lucrative IRA Rollover Market. We invest time and energy to research and evaluate resources to help you grow your annuity sales volume. We offer high level, expert, back office support to keep you focused on annuity sales and revenue producing activites. We perform extensive due diligence to offer only the best indexed and fixed products for you and your clients. 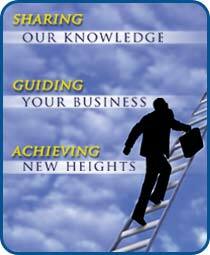 Our goal is to increase the quality of your life by increasing the quality of your business. We are excited to bring several new analysis tools to you, GoFigureNow and OnTrak! These tools will effortlessly close your business for you. Go to Resources or call (866)324-3800 and ask for the marketing department for more details.